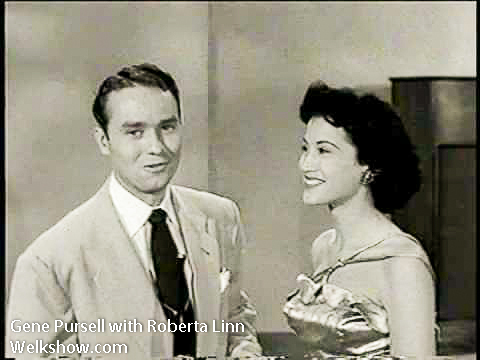 Gene Pursell was a Irish Tenor on the Lawrence Welk Show from 1951 to 1957. Pursell was born and raised in Portsmouth, Iowa to a musical family. His father, Frank, played the harmonica and was an expert whistler while his mother played the piano. In addition, his three brothers and five sisters were singers as youngsters. Pursell married when he was 17 years and has four children. Pursell left the show in 1957 and was replaced by fellow Irish Tenor, Joe Feeney. After leaving the Welk Show, he continued singing until his retirement.